I hope everyone who is from the United States had a good Fourth of July! I must say I am not too happy about the state of our reproductive rights in the United States of America today. Despite that, I did have a good Independence Day, which was so nice, because I have been struggling with a lot of anxiety lately. I took my parents to see the new movie, The Heat, with Melissa McCarthy and Sandra Bullock. I really, really, really recommend this movie! It’s a classic cop buddy movie, except that the two buddies are strong female characters. It is so wonderful and refreshing to see a movie starring two women that isn’t about marriage or even romance. The movie is absolutely hilarious and is destined to become a comedic classic. Today was the second day I’ve seen it in a row and I might go see it again next week-it just brings me so much joy to see powerful, strong, funny women in action! As always, I give detailed reviews, so there is a possible spoiler alert. My classics book club has a fun way of picking out the next book to read – we each write down three suggestions and put them in a basket. Then someone closes their eyes and draws one out. This time one of my suggestions was picked and I was so happy! 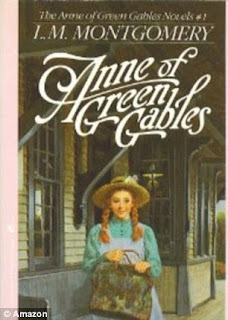 I absolutely love Anne of Green Gables and really, anything by Lucy Maud Montgomery (L.M.M.). I own almost all of her books and my parents even took me to Prince Edward Island to see where she lived and to see the movie set for the Anne of Green Gables movie starring Megan Follows as my high school graduation present. It was a great trip! I didn’t really need to read it again, but why pass up a chance to reread a childhood favorite? It was still such a fun read, although with her troubled background, her impulsiveness, and her penchant for drama I was sure that she had Borderline Personality Disorder, which troubled me-I want my childhood heroine to be unsullied by mental illness! Fortunately, I felt reassured by her level of maturity by the end of the story to be able to say that she was simply a child with a brilliant imagination and an extroverted personality. And talk about satisfaction-there is no more satisfying scene to me than when Anne smashes her slate over the head of Gilbert Blythe! The story is about a talkative orphan with red hair who is mistakenly sent to a couple who wanted a male farm hand to help them out with their farm chores. She charms her way into their hearts and they decide to adopt her. Anne is a natural leader, loud, incredibly smart, caring, passionate, vain, ambitious, and loyal. I love that Anne has both qualities considered typical for women to have and those not considered so typical for women. 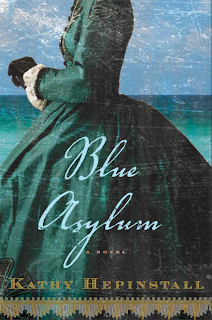 For a book that takes place around the 1880s, her story is remarkably feminist and very much fun. Also, in 1985 Kevin Sullivan directed an Anne of Green Gables movie that is utterly fabulous. I have a copy and I strongly recommend it. It is the best adaptation of a book I have ever seen! I decided to go ahead and reread the whole series. I have read the first book many times, but I believe I’ve only read the other books only once and many years ago, so there is a lot that I have forgotten. 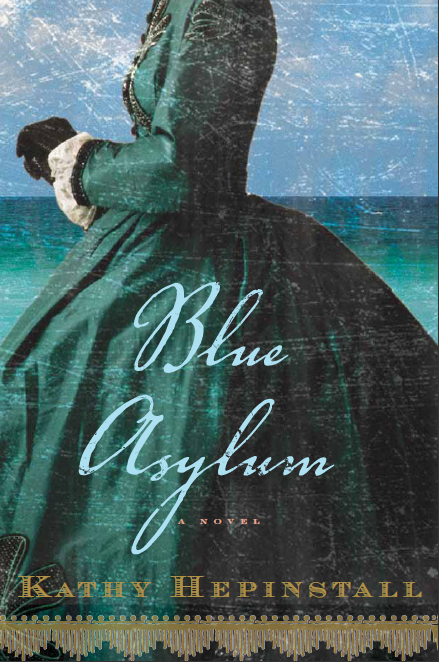 This book starts out when Anne is sixteen. She decides to stay at home and teach instead of going to college to help Marilla take care of the farm. I really admire Anne for putting aside her ambitions to help those she loves and also, what responsibility! I cannot imagine teaching a bunch of kids now and especially not at sixteen! But then some people are much more gifted with relating to kids and with maintaining discipline than I am. What is really nice about this book is that even though Anne and Gilbert are now very close friends and in their teens, there is no boy craziness that is so prevalent in most teen books today. One knows that Gilbert is attracted to Anne, but Anne refuses to let herself think about romance at all. The book has some new interesting characters and unfortunately two new characters that a lot of people, including myself, are not so wild about: Davy and Dora. Unbelievably, Marilla ends up adopting two more orphans - twins Davy and Dora. Davy and Dora are a bit troublesome and annoying to me, because they seem like extreme stereotypes of their gender: Davy is mischievous, violent, and is always getting into trouble and Dora is totally good. And while Davy is always getting into trouble, everyone prefers him over Dora, because he dramatically shows his emotions and his love, while Dora does not. Dora is even compared to a “robot,” which I find problematic. 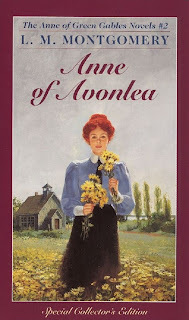 Anne of Avonlea is not my favorite of the Anne books, but I don’t hate it either. It’s still a fun read. It has some more classic Anne impulsive goof-ups like when she falls through the roof of a woman’s shed and has to stand there for an hour in the rain or when she sells the neighbor’s cow by mistake. And once again, Kevin Sullivan turned this book into a movie, this time in 1987. Well, he actually turned the fourth book into the movie-Anne of Windy Poplars. Originally the movie was called "Anne of Green Gables: The Sequel," which would have made much more sense, as nothing in the movie really corresponds to the second book. Fortunately, it is another extremely well done adaptation-I also own it and recommend it. I find it funny that it got named after the second book, when it really follows the fourth. I haven’t reviewed a Speakeasy book in a long time! This is a short book of poetry that is divided into three sections: Orientation (Or, Life is Good), Disorientation (Or, Life is Not Good), and New Orientation (Or, Life is Good Again). The poems are based on the Psalms in the Bible and one can easily tell the similarities. 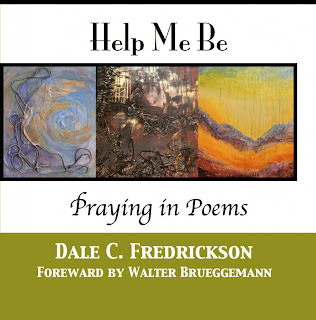 In the Psalms the poet shares their personal pain, frustration, gratitude and praise with Godde. To be honest, I didn’t like the first two sections, as I didn’t find them deep enough. It took me a while for me to realize that Fredrickson’s book is going for the same idea as Samuel Blake’s Songs of Innocence and Songs of Experience, in that the first part is purposely simplistic and the last section is more complex to signify the wisdom that the person has now gained. With that in mind, it perfectly makes sense that the poetry would be simple in the first section. What I don’t understand is that the poetry in the second section still seemed simple and fairly positive. If it is truly representing a time in the life when things are bleak, then I want to feel more intense emotion. I just felt like that section wasn't quite honest enough. Also, I felt like the first two section tended to fall on clichés/trite sayings at times. However, I did really like the poems at the end. These poems seemed to finally have an appropriate level of depth to them and I could see incorporating a good many of the poems into my church’s worship service. I’m glad I ordered this book from Speakeasy, but would I pay for it on my own? Not unless it was offered at a really low price. The last section has some really good poems, but would I put it on the same level as Mary Oliver, another Christian poet? No, they’re not close in the least, although I will admit that it’s not really fair of me to compare. Mary Oliver's poetry is very lyrical, while Fredrickson's is more in the style of spoken word. If you like poetry and are spiritual, but don’t like thinking hard about metaphors, then this book may be for you. You can hear Fredrickson's spoken word on YouTube, which I advise doing. Spoken word is always so much more effective when listened to than when read. And now I will leave you with my favorite scene from Anne of Green Gables. I could watch this movie over and over and over again! If you haven't read the series or watched the movies, then you need to take care of your inner child and do so at once! Sunset Beach Day 3 - "Wild Hair Me"
Sunset Beach Vacation Day 1 - Time to Relax!